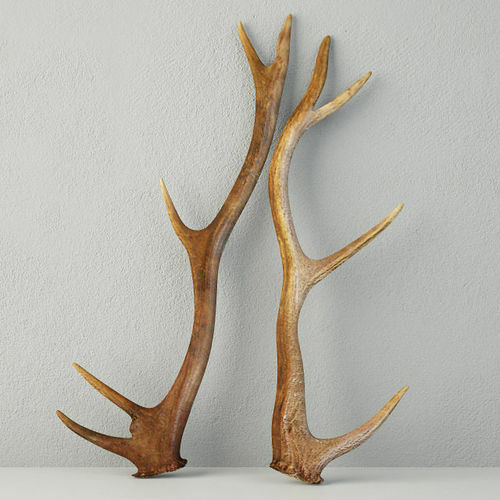 Natural Shed Deer Antlers Archive include: 2011 max, fbx, textures. With a description of "natural shed" I expected more than a linear flat model. The profile of the antlers have little curve to them. It appears to be a flat trace sketch pulled to a 3d vs a scan of natural shed antlers. The texture files make it look pretty and visually deceiving. These are not of the quality needed for my project.